Former Speaker of the House and Republican Presidential Candidate Newt Gingrich is coming to Alabama on March 7th. McClendon was instrumental in bringing the Gingrich campaign to the county. Newt Gingrich’s Alabama Presidential campaign had previously scheduled this event at the historic Ritz Theater in downtown Talladega but the campaign announced today that they are moving the event to the Pell City Civic Center to accommodate larger crowds than they had perviously anticipated. The longtime Georgia Congressman rose to national prominence in 1994 when the Republican Party took control of the United States House of Representatives for the first time in decades. 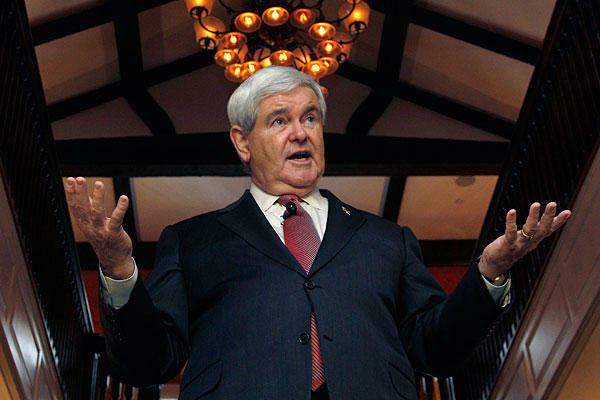 The new Republican majority made Gingrich Speaker of the House. The Republican Congress then balanced the federal budget, which led to a period of unprecedented growth and economic prosperity. The Gingrich campaign event is the day following ‘Super Tuesday.’ The Alabama Republican Presidential Primary is on March 13th and delegates are awarded on a proportional basis, meaning any candidate who wins at least 20% of the Alabama vote can win delegates here. It requires 1144 delegates to win the Republican nomination for President at the Republican convention in August. The eventual Republican nominee will face incumbent Democratic incumbent President Barack H. Obama in the November 6th General Election. The event is at 2:00 at the Pell City Civic Center, which is located at 2801 Stemley Bridge Road.